In Part I of this article I introduced our largest finch cage and discussed some of the reasons that aviculturists should strive to provide even the smallest of birds with as much space as possible. To continue, another nice aspect of the room provided by the 5’ x 2’ x 5’ Double Flight Cage is that hanging live or artificial plants can be used to provide sight barriers and security to nervous birds. This will vastly improve their quality of life and may pave the way for captive reproduction. The additional space provided by this cage also allows you to easily provide a stimulating captive environment for your pets. A variety of vine-style perches and toys can be used in this regard. The provision of challenging and somewhat “natural” foraging opportunities is also important in keeping birds active and healthy. Installing sprout pots, hiding fruits and scattering small mealworms, crickets and other insects about a large cage are all time-tested techniques that will keep your birds alert and eager to explore their surroundings. Just as many folks seem to believe that finches can get by in cramped quarters due to their diminutive size (please see Part I of this article for further discussion), so too it is sometimes assumed that only parrots have any use for toys. Please see my article Finches use “Parrot Toys” Too! for an alternative view. Image referenced from Wikipedia and originally posted by William Kreijkes. Previous: Hand-Rearing Baby Birds – Are you Qualified? You might try removing the nest box and re-introducing it after a few weeks. In the meanwhile, perhaps work on improving the nutritional content of their diet by gradually adding pellets (if they are eating seeds only). Nutriberries are useful in making the switch, as they combine tasty foods with the usually less-well accepted pellets. A variety of fresh fruits also help in bringing some lovebirds into breeding condition. Fresh sprouts, being small and thin, may be eaten as oppossed to being taken as nesting material; egg food should also be tried…the additional protein it provides is important prior to and during nesting. Providing UVA light, and a 12 hour day/night cycle is sometimes helpful; be sure also that their nights are quiet and that they are undisturbed by outside lights, etc. There can however be a host of factors behind infertility or a failure to incubate, including medical problems that can only be diagnosed by an experienced avian veterinarian. 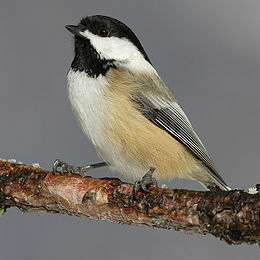 Please see my article Infertility in Birds for a few more suggestions.